CMA vs MBA: Which Is Right for Your Business Career? Business and finance professionals looking to grow their careers and explore different areas of the industry often consider higher education as the best path to get there. However, not all higher learning is the same, and growth for business and finance professional can be achieved through several higher learning outlets. The Certified Management Accountant Credential (CMA) and Master’s of Business Administration (MBA) professional designations are two of the most common ways business professionals can grow their careers. The biggest difference between CMA vs MBA is that the CMA is a credential while the MBA is an academic degree. 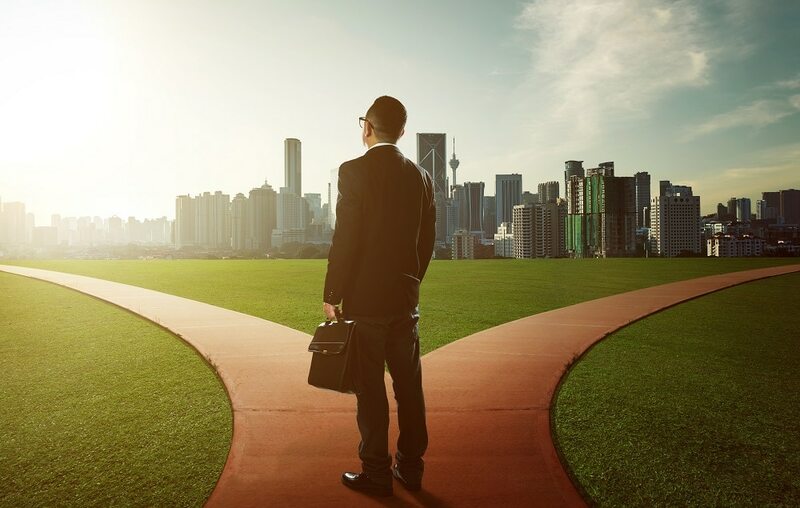 Each path will lead you to a better understanding of the business environment, so the question becomes: which will you choose? Below, we’ve broken down the CMA and MBA based on career areas, career outlook, salary, and the pros and cons of both to help you make the right decision for your business career. The CMA is an accounting certification and focuses more on the numbers side of businesses. CMAs can occupy staff accountant, cost accountant, financial analyst, finance manager, controller, or financial C-Suite roles. The CMA Exam has two parts: Part 1, Financial Reporting, Planning, Performance and Control, and Part 2, Financial Decision Making. The first part focuses mostly on planning, budgeting, and forecasting, but also emphasizes external financial reporting, performance and cost management, and internal controls. This is more the accounting side of the certification, and focuses on the details management accountants will encounter throughout their careers. The second part focuses mostly on corporate finance and financial statement analysis, but also emphasizes decision analysis, risk management, investment decisions, and professional ethics. This is more the management side of the credential and focuses on big-picture items organizations and top managers need to focus on in order to facilitate growth and stability. Recognition of the CMA certification is growing as employers seek out individuals who can think critically and analyze business operations in order to solve the top problems facing organizations today. The CMA certification is globally recognized, meaning management accountants can provide value at international organizations or overseas. As far as career availability, the finance and accounting job opportunities for those with the CMA credential are vast. Credential holders can work in staff accounting positions, in strategic management, or in an operations capacity. When considering the CMA vs MBA, you have to compare the time commitment. With the MBA, it’s pretty extensive, but the CMA designation can be completed at your own pace. You can take the two exams in any order, and you can schedule them at any time. The certification is especially attractive to those who have been working in the field but don’t want to go back to school; since they may have already met the experience requirement. The CMA is also attractive because the credential is the same across the board. While the MBA varies in ability and attractiveness depending on which institution it’s from, the CMA provides the same exam and same requirements for all candidates. However, the CMA is more limiting than an MBA. While the career opportunities are vast, it doesn’t necessarily segway into any role in business. MBA’s may also enjoy a more detailed experience, taking a track that fits their specific career goals, such as public policy, energy, environment, or sustainability. As we mentioned above, MBA stands for Masters of Business Administration. To become an MBA, candidates must complete a Master’s Program in Business Administration, after which they are awarded a degree. MBA programs vary by institution, with full-time two-year programs, part-time three-year programs, undergraduate plus master’s programs, and professional or executive MBA programs. MBAs can work in a variety of business capacities. Some MBAs work in financial planning and analysis for individuals, while others work in the strategy department of large organizations. Some start their own businesses and some become CEOs of Fortune 500 companies. With such a wide variety of career opportunities, many MBA programs have developed “tracks,” which are a specific set of required classes geared toward a more specialized degree. These tracks are often aimed at some of the world’s top issues, such as sustainability, entrepreneurship, healthcare management, or finance. The importance of a postgraduate degree is growing in business; companies want to see that candidates are serious about solving business-related problems and have a growth mindset. The demand for technical and soft skills is also growing, two areas that are developed in MBA candidates to fit a variety of business settings. Since the MBA is so versatile, degree-holders have a wide range of options in careers. However, these options become more narrow for a graduate from a track program, although their specific expertise may make them more attractive to specific employers. The average salary for an MBA is dependent on the capacity of the job. An accountant with an MBA might earn an average of $68,000 over the course of her career, while a financial manager with an MBA may make $120,000 or more over the course of her career. Graduates who have applied themselves to a specific track may have a higher earning potential because they possess unique skills related to solving track related problems. The salary potential is lower for the CMA vs MBA. MBA graduates also have a broader choice of career options, both while they are in school and on the job search. However, where you receive your MBA plays a major role in where you’ll get a job. Many top companies only hire from the top business schools, and the brand name of your institution will likely play a role in how employers view your resume. Getting your MBA also consumes two very important resources: time and money. Most schools require a two-year, full-time commitment, while part-time working MBAs can take three years or more. Tuition can range from $2,000 a semester for online programs to $25,000 or more a semester for top schools. Those looking to grow in their business roles have to consider the time and cost implications of achieving an MBA degree. CMA vs MBA – How Do You Choose? As you move forward in your business career, it’s important to adopt a growth mindset and constantly be on the lookout for ways to improve as an individual and in your career. Both the CMA credential and an MBA degree can get you there, but one may help you jump on your desired career path more efficiently than the other. The best way to evaluate the CMA vs MBA and which one is right for you is to assess your career goals and your personal resources and decide which credential will help you achieve your goals with the resources you have. The CMA credential can get you very far in finance and accounting roles within a variety of organizations, while the MBA might be more suited to specific career tracks, such as sustainability or healthcare. By considering your career goals and what you need to do to achieve them, you’ll have a better understanding of which path is the right one for you. Ready to start studying to earn your CMA credential? Sign up for a Surgent CMA Review free trial today! Liz Kolar, CPA, CGMA, has been teaching CPA Review for more than 25 years in the United States, has personally taught more than 2,500 live sessions, and has helped thousands of candidates pass the CPA Exam. She founded Pinnacle CPA Review and co-founded Surgent Kolar CPA Review.